In this mn original short, Pazella-Granlund creates lunar landscapes out of paper, one of the most low-tech and accessible materials. In this MN Original short, Pezalla-Granlund creates lunar landscapes out of paper, one of the most low-tech and accessible materials. Artist bio: Margaret Pezalla-Granlund received her MFA from the California Institute of the Arts, Valencia, California. Her work has been included in exhibitions at the Santa Monica Museum of Art, the Minneapolis Institute of Arts, Angel's Gate Cultural Center, and the Peabody Essex Museum. Pezalla-Granlund was recently awarded a McKnight Artist Fellowship for 2008-2009 and a Jerome Foundation Travel Study Grant for 2009. She is interested in modeling the complex spaces of the natural and built landscape on scales both macro and micro. 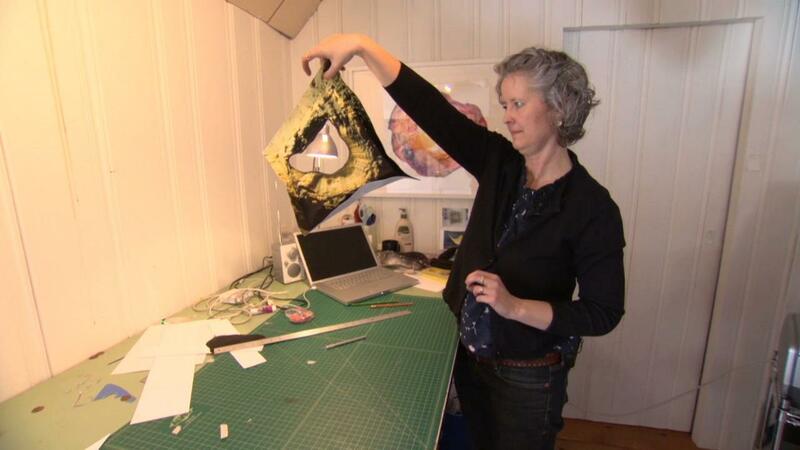 Margaret Pazella-Granlund creates lunar landscapes out of paper.